Our clients count on us not only to successfully complete projects, but to do so in a cost-effective manner. But this is only the beginning. Our clients choose us because they want an experienced partner that can offer innovation in design, equipment, and process to build projects more effectively, with an emphasis on cost, safety, reliability, and long-term success. 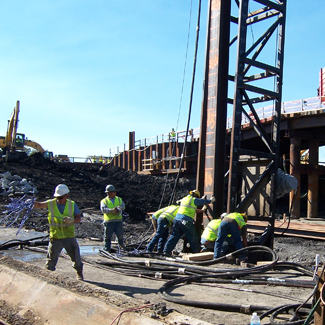 We are known for our high-profile signature projects, including five major bridges spanning the Ohio River, four cable stay bridges, and numerous civil structures throughout Ohio, West Virginia, Kentucky, Indiana, and Tennessee. 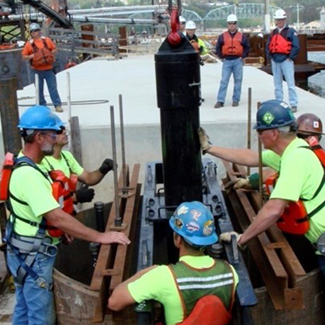 We have served government institutions such as the TVA, several state DOT’s and Divisions of Highways, and multiple Offices of the Corps of Engineers as well as private enterprise including General Electric and American Municipal Power. 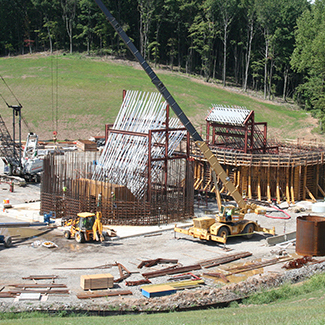 Our ability to safely and successfully construct detailed, high-profile projects, using innovative construction techniques, is reflected in the project recognition that we have received from state and national agencies such as the American Society of Civil Engineers, the Portland Cement Association, the Associated General Contractors of America, and the Ohio Contractor’s Association. Members of C.J. 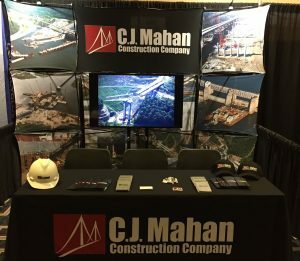 Mahan Construction Company were proud to support the AGC and represent the company at the 2018 AGC Equipment, Technology & Construction Solutions Expo in New Orleans. The three-day event allowed the Mahan Team to showcase their capabilities on the expo floor while networking with industry colleagues and attending educational breakout sessions. C.J. Mahan Construction Company completed the Smithfield Food Packing Facility precast panel roof replacement a full two days ahead of schedule. 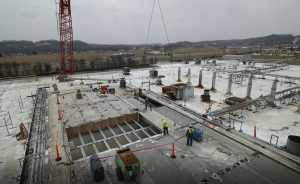 The $318,482 contract called for the replacement of 30 precast concrete roof panels weighing more than 10,000 pounds each in 5-days. Mahan, however, was able to better that schedule by 2-days, completing the project in only 6 - 12 hour shifts. 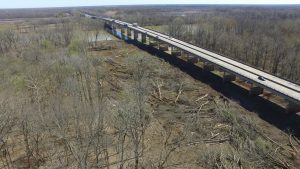 On Tuesday, November 2, 2016 the Arkansas State Highway Commission approved a bid from Parsons Mahan Joint Venture for the construction of a new bridge on Interstate 40 over the White River. The new $100.8M, 18 span steel plate girder bridge will be nearly 2,844 ‘ long and will require 419 working days to complete. 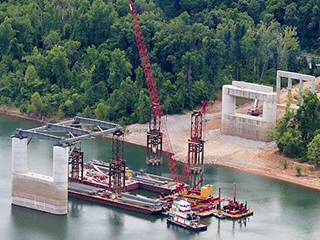 Parsons Mahan Joint Venture has completed the erection of their concrete batch plant, which will be used in constructing the new White River Bridge for the Arkansas Department of Transportation. The Johnson-Ross Rustler III Plant will produce nearly 43,000 cubic yards of concrete for the project. 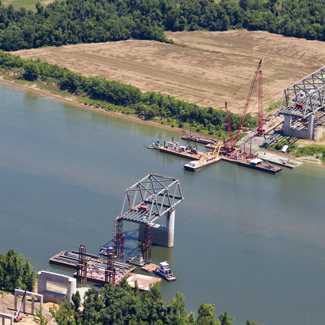 Parsons Mahan Joint Venture has begun clearing on their $100.8M White River Bridge Replacement Project. 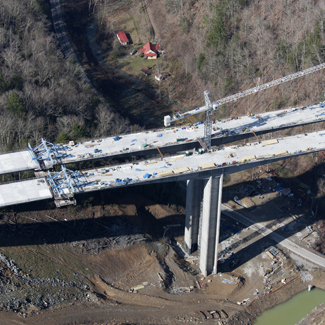 The new 2,800' long bridge is expected to be completed by the end of 2018. 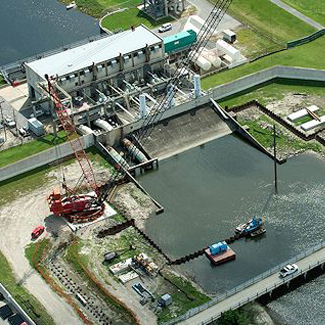 Working has a subcontractor to Lambert Engineering and owner USACE, Wilmington District, C.J. 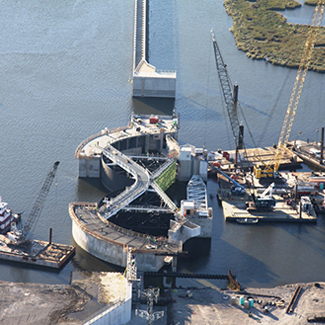 Mahan Construction Company, LLC was awarded a contract to repair a scour hole at Lock & Dam #2 on the Cape Fear River in Elizabethtown, North Carolina. Work on the nearly $8 million project will begin in October 2017 and complete by August 2018. C.J. 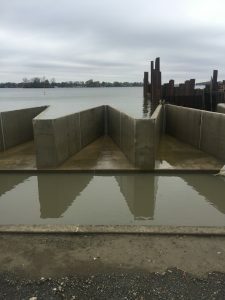 Mahan Construction Company, LLC has been awarded a contract by the Ohio Department of Natural Resources to replace the 700-foot long concrete spillway at Indian Lake Park in Logan County, Ohio. The $7.6 million project is scheduled to complete in Spring, 2018. C.J. 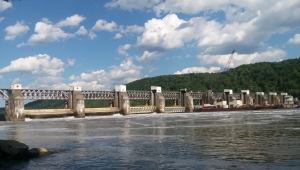 Mahan Construction Company, LLC is pleased to announce that they have been awarded a contract by the USACE, Pittsburgh District for the replacement of gates 2 & 3 at Montgomery Lock & Dam on the Ohio River. Mahan is currently on-site replacing gates 6, 7, and 8. C.J. 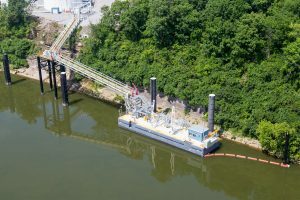 Mahan Construction Company, LLC completes the installation of a new barge dock at Marathon Petroleum's Bordeaux Terminal on the Cumberland River. 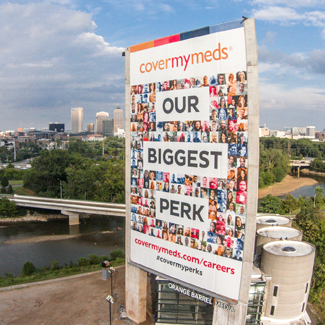 The $3 million project was successfully completed in less than 9-months. Working as a subcontractor to Prestress Services, LLC, (PSI) C.J. 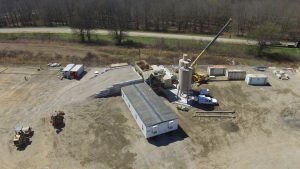 Mahan Construction Company, LLC was awarded a contract to replace 30 precast roof panels at Smithfield Farmland Corporation's packing facility in Grayson, Kentucky. The panels range in weight from 13,378 pounds to 18,176 pounds and will be removed and replaced by Mahan in 2-weeks. PSI will be responsible for fabricating the new precast panels. 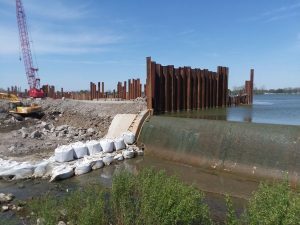 The cofferdam has been removed and construction completed on the west half of the new spillway at Indian Lake, concluding Phase 1 of the spillway replacement project for the ODNR. 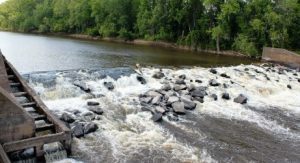 This new portion of the spillway is now functional and controlling lake overflow. Mahan has started work on Phase 2 which will include removal and replacement of the remaining old spillway.